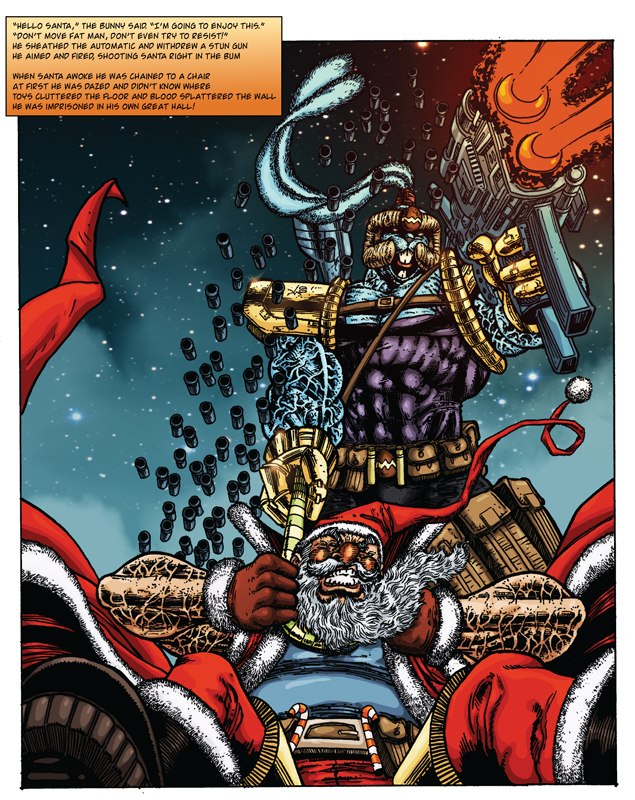 Just think… this is what “Holiday Wars” might have looked like if it was drawn in the 90’s! Actually, when I first mention “Holiday Wars” to people (at conventions or wherever) they normally picture something like the page above. No writing, or story, or depth… just cheesy over the top action. It’s a hard stigma to fight.